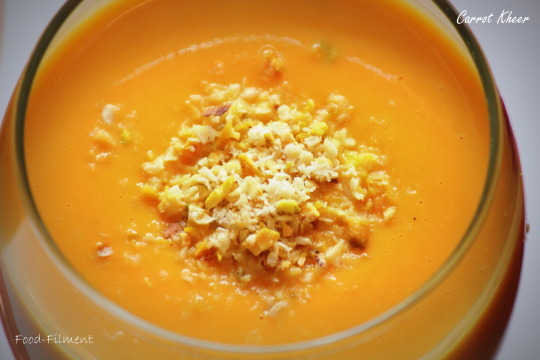 This Sweet dish has everything that you will love – color, texture, richness and nutrition! 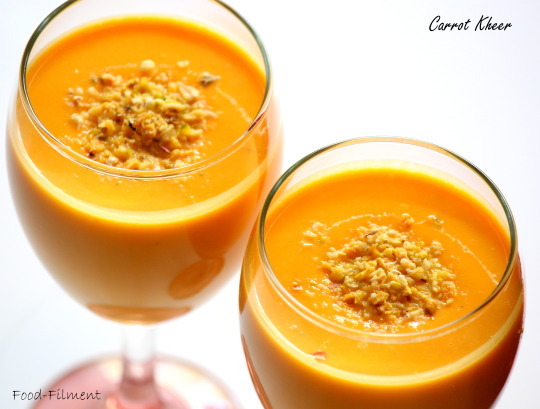 Here is the recipe for Carrot Kheer – an easy delicious dessert you can whip up quick and will be loved by your guests ! Hope you will all enjoy this recipe! 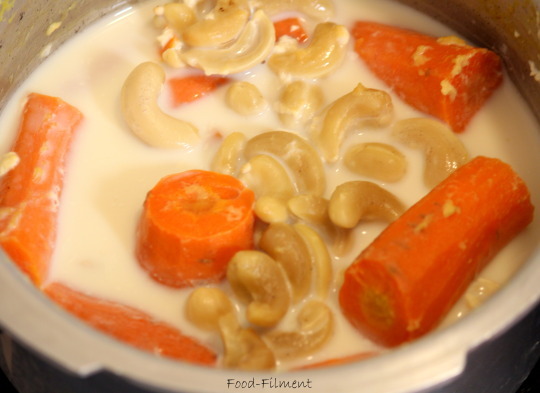 Pressure cook the carrots and cashews in 1 cup of milk for about 2-3 whistles. Once cooled, puree it into a smooth paste by adding sugar and one more cup of milk while blending. Boil it well. Turn off heat and the kheer is ready to be served. 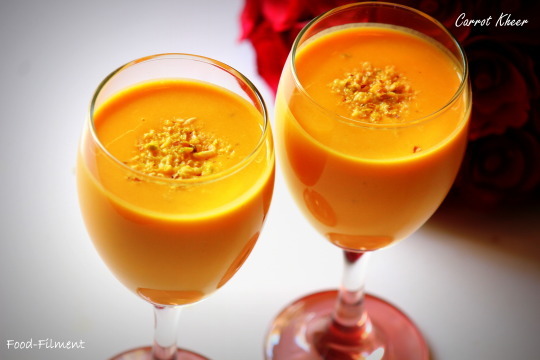 You can serve the kheer hot or cold. Before serving garnish it with some grated dry fruits!